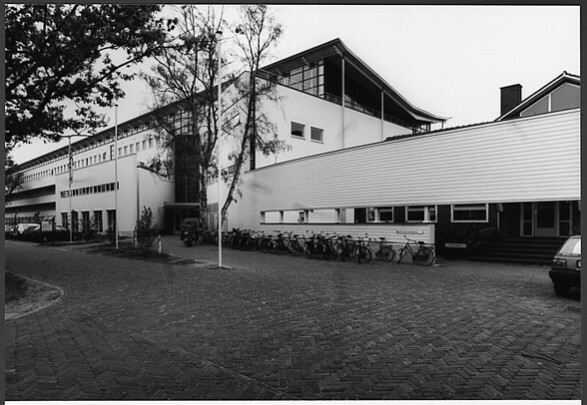 The Born-Zuid site is where the components of the Department for Agricultural Research, once spread everywhere, are now concentrated. A wing of laboratories, the Centre for Agrobiological Research, bridges the gap between two existing buildings. The gently curving building has a lightly arching roof compiled of rectangular panels and tapering slit rooflights. The Centre for Agrotechnological Research, on the other hand, is L-shaped in plan. The entrance at the head gives onto a tall airy circulation space between the four levels of offices on the south face and the three of laboratories to the north.